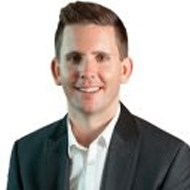 Trent currently works closely with a team of Retail First Centre Managers, overseeing the YFG Portfolio. Trent has had over 18 years of retail property experience, in all areas of management, including marketing, operations and administration. He has formerly held management positions with Byvan/FPD Savills. Over the past 2 years, Trent has been an integral part of the redevelopment rollout of a number of YFG centres. As well as completing a Bachelor of Commerce at Griffith University, Trent also holds a Real Estate Agents Licence.